This month we are doing orders for Palm Shortening and Coconut Oil. If you haven't used palm oil or coconut oil before, here is why we like it. Remember that our prices include shipping! Shipping costs with Tropical Traditions is $9 for one gallon and $40 for a case! Palm shortening is derived from palm oil (read about Virgin Palm Oil here). Palm shortening is palm oil that has some of its unsaturated fats removed, giving it a very firm texture, and high melting point. The melting point of our Organic Palm Shortening is 97 degrees F., making it very shelf stable. It is NOT hydrogenised, and contains NO trans fats! It is great for deep-fat frying and baking, and is not prone to rancidity. Since it has been separated from some of the unsaturated portion of the oil, it is colorless and odorless, and will not affect the taste of foods. Coconut oil is also sometimes hydrogenated or partially hydrogenated. This happens mostly in tropical climates, since the natural melting point of coconut oil is about 76 degrees F, and already naturally a solid in most colder climates. Since coconut oil is mostly saturated, there is little unsaturated oil left to hydrogenate. Hydrogenated oils contain trans fatty acids. Has a slight coconut taste. Use as a moisturizer for skin and hair, use to treat rashes and burns, make-up remover, mild sunscreen, and much more (read about Coconut oil here). 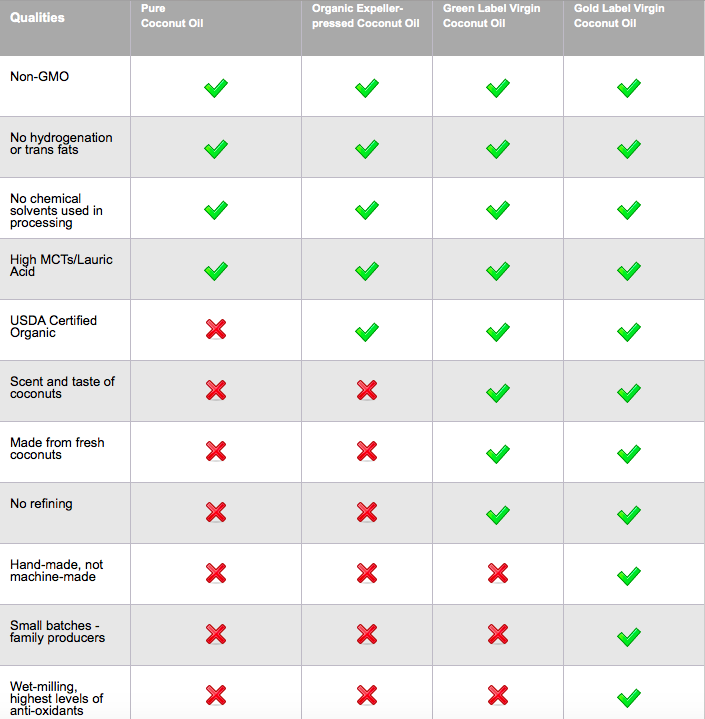 To learn more about coconut oil and why it is good to have in your food storage and home use check out Coconut Research Center.